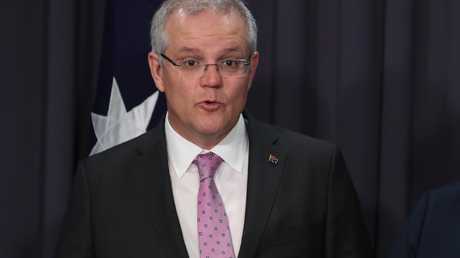 PRIME Minister Scott Morrison says he will consider moving Australia's embassy in Israel to Jerusalem and recognising the holy city as the nation's capital, despite fears either move could endanger the peace process with the Palestinians. The ownership of Jerusalem is a highly controversial issue. Both the Israelis and Palestinians claim it as their own, and its final status has long been one of the major obstacles in negotiations for a two-state solution. If Australia were to move its embassy, it would follow the lead of US President Donald Trump, who did the same thing earlier this year. Speaking this morning, Mr Morrison re-emphasised Australia's commitment to peace in the region, saying "nothing has changed" in that regard, but said the current approach had failed and it might be time to try something different. "We are committed a two-state solution, but frankly, it hasn't been going that well. Not a lot of progress has been made. And you don't keep doing the same thing and expect different solutions," he said. "So when sensible suggestions are put forward that are consistent with your policy and in this case, pursuing a two-state solution, Australia should be open-minded to this and I am open-minded to this. "I'm not going to close my mind off to things that can actually be done better and differently." 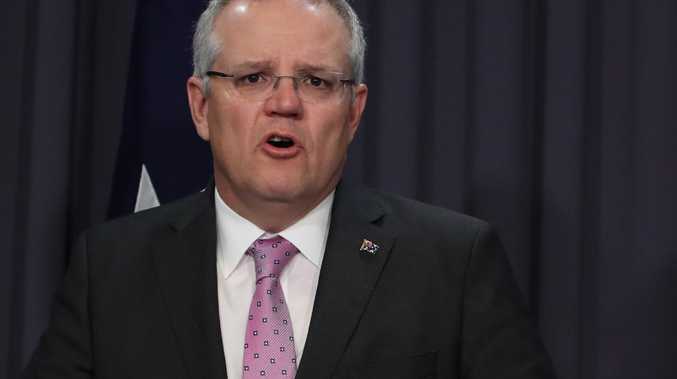 Mr Morrison stressed "you can achieve both" the two-state solution and a full consideration of Jerusalem as Israel's capital. "Indeed by pursuing both you are actually aiding the cause for a two-state solution." However, the Prime Minister said "no decision has been made" and he would consult with his cabinet colleagues and fellow world leaders to gauge their opinions on the matter. His conference covered a couple of tangential issues as well. Mr Morrison said Australia would not support a push at the United Nations for the Palestinian Authority to chair the G77, a coalition of developing nations. "We don't believe that conferring that status, especially at this time, would add to the cause of moving parties towards the two-state solution," he said. He also announced Australia would "review without prejudice" the nuclear agreement with Iran, which is supposed to ensure the country does not develop nuclear weapons. The review will investigate Iran's compliance with the deal. Mr Trump and Israeli Prime Minister Benjamin Netanyahu both believe it is ineffective. Mr Morrison's announcement today marks a significant shift in the government's stance. Previously, former prime minister Malcolm Turnbull and his foreign minister Julie Bishop both categorically ruled out moving Australia's embassy, shooting down suggestions from Tony Abbott. "We have taken the view, as indeed most countries have, that it's more conducive to the peace process to keep the embassy in Tel Aviv. Obviously, the status of Jerusalem and negotiations relating to Jerusalem are a key part of the peace negotiations, which we wish the very best for and we support," Mr Turnbull said in May. "The Australian government will not be moving our embassy to Jerusalem," Ms Bishop said in June. "Jerusalem is a final status issue and we have maintained that position for decades." The timing is interesting to say the least, given the Wentworth by-election is four days away - and it just so happens 13 per cent of voters in the seat are Jewish. The Liberal Party's candidate, Dave Sharma, is a former ambassador to Israel. "I think we should be open to considering it (moving the embassy) as Australians. The United States has done it," Mr Sharma told a forum at the Bondi Surf Bathers Life Saving Club yesterday, though he stressed Australia did "need to look at it in the context of a two-state solution". He has flagged the issue before, most notably in an article he wrote for The Australian in May after Mr Trump decided to move America's embassy. Mr Morrison has spoken about the potential move with Mr Netanyahu, who was full of praise for Australia. "I spoke today with Australian Prime Minister Scott Morrison. He informed me that he is considering officially recognising Jerusalem as the capital of Israel and moving the Australian embassy to Jerusalem. I'm very thankful to him for this. We will continue to strengthen ties between Israel and Australia," Mr Netanyahu said. But back home, the Prime Minister's political rivals are decidedly unimpressed. 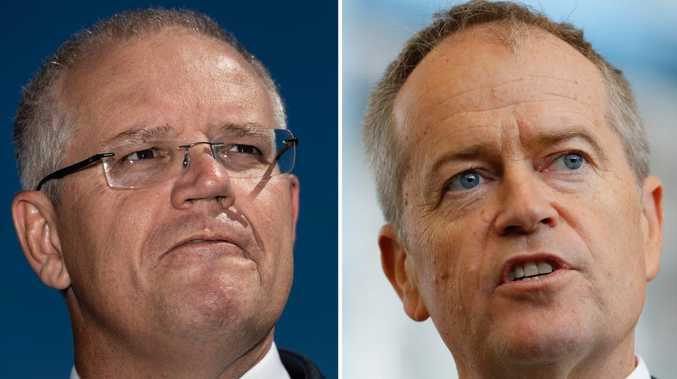 "Scott Morrison is now so desperate to hang on to his job, he is prepared to say anything if he thinks it will win him a few more votes, even at the cost of Australia's national interest," Shadow Foreign Minister Penny Wong said. "Instead of playing dangerous and deceitful word games with Australian foreign policy in a desperate attempt to win votes, Scott Morrison should try governing in a way that reflects the values of the people of Wentworth. "The people of Wentworth, and all Australians, deserve a leader who puts the national interest ahead of his self-interest, and governs in the best long term interest of the nation - not one prepared to play games with longstanding foreign policy positions five days out from a by-election."